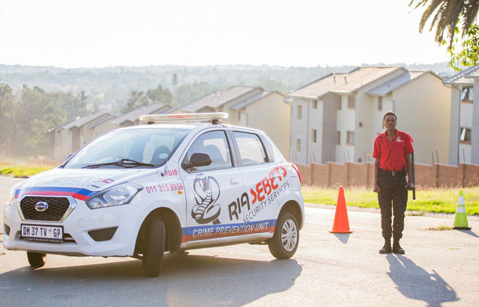 Ria Sebetsa Security Services provides, and continues to provide affordable security solutions nationally, specializing in Personalized Security service, which is both comprehensive and dedicated to the community we serve. We are recognized by and co-operate with all existing emergency services which include but not limited; South African Police Services, Fire Department & Emergency Services and other recognized crisis centres. Ria Sebetsa Security Services is accredited and affiliated with PSIRA. For your security, don’t settle for less go for the best! Ria Sebetsa Security, in its commitment to combat crime has joined the SAPS in the Midrand precinct. In taking on this responsibility, we have been awarded direct link to the Joint Operations Centre, affording us the opportunity to work closely with the community to rid the area of criminal activity. We are visible in active patrols in the communities we serve by conducting regular vehicle and on-going foot patrols in combating crime and deterring criminals. We offer security patrol and Armed Response services to keep you safe in your home and business. Alarm monitoring and armed response go hand in hand to ensuring the safety of your premises and valuable assets. We ensure that proper security and access controls are in place to protect your home and business. Call police or fire departments in cases of emergency, such as fire or presence of; unauthorized persons.